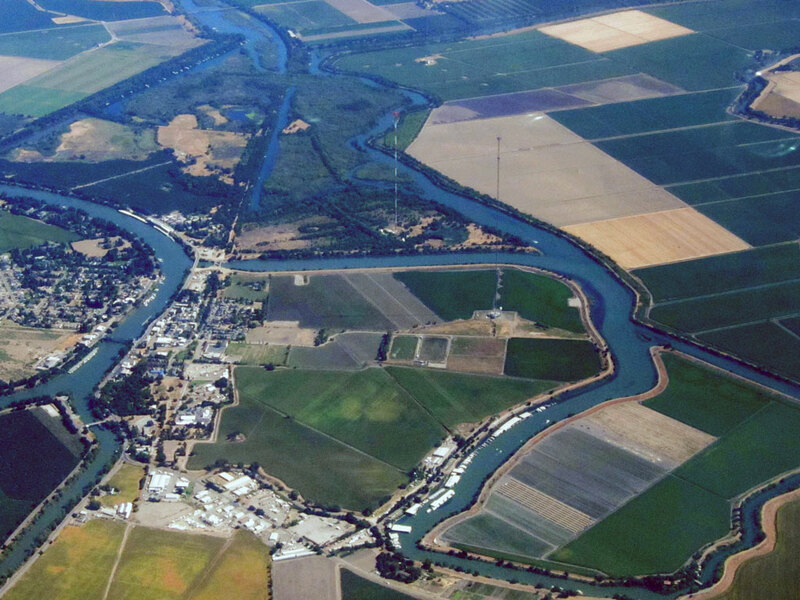 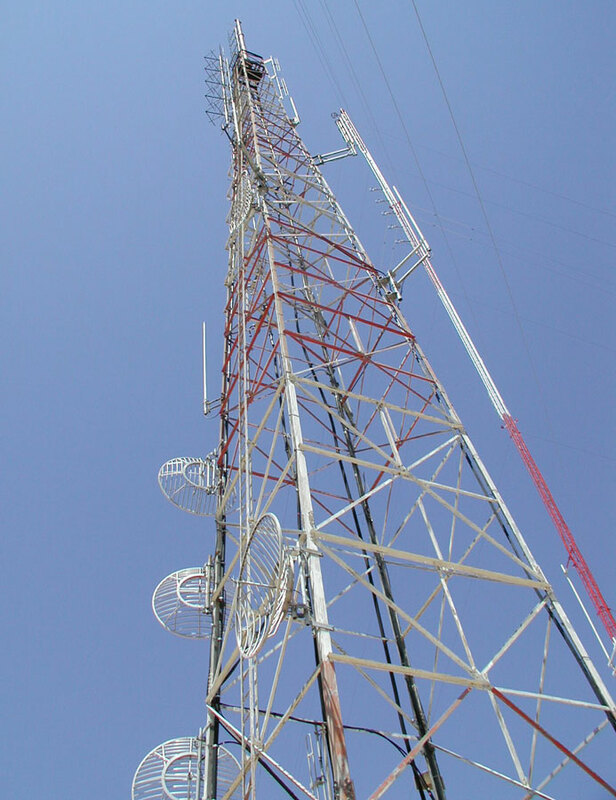 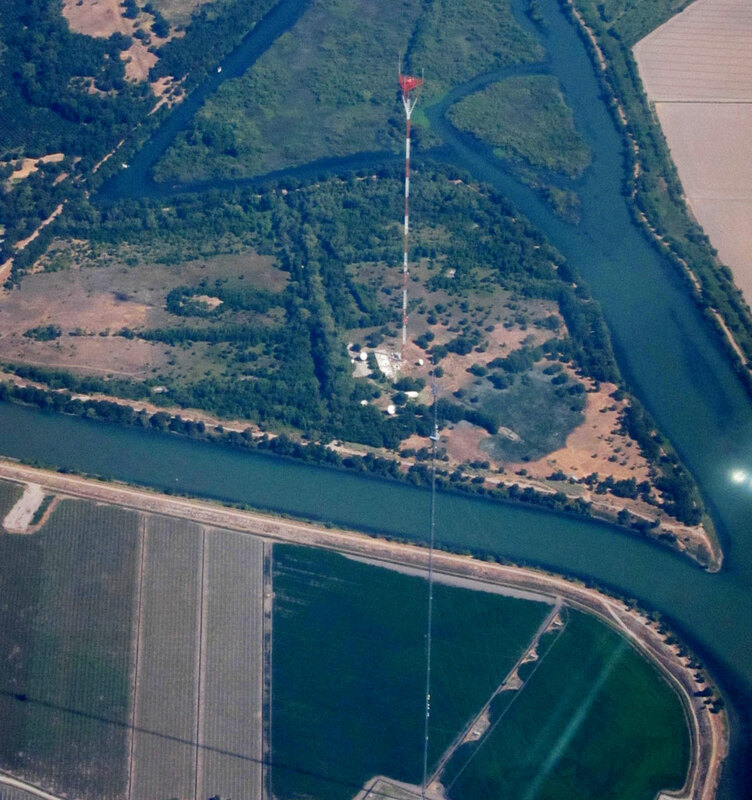 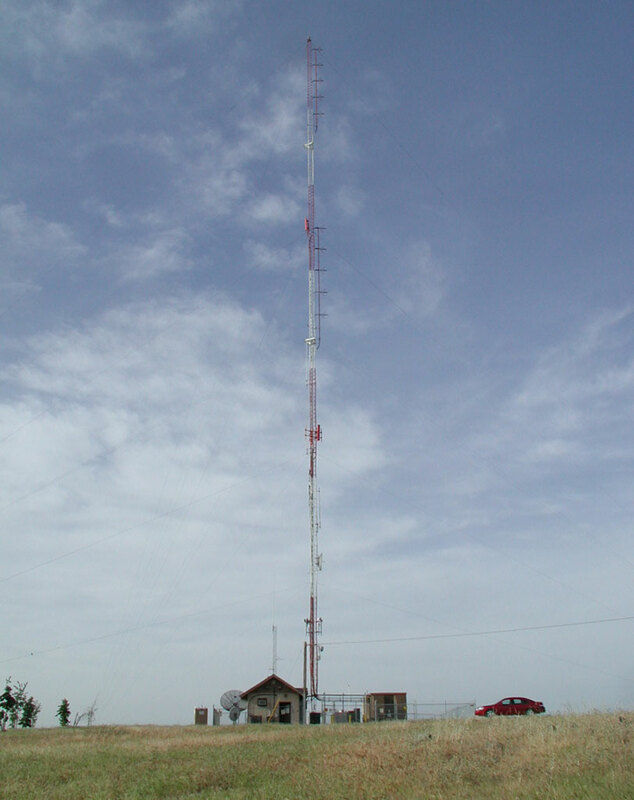 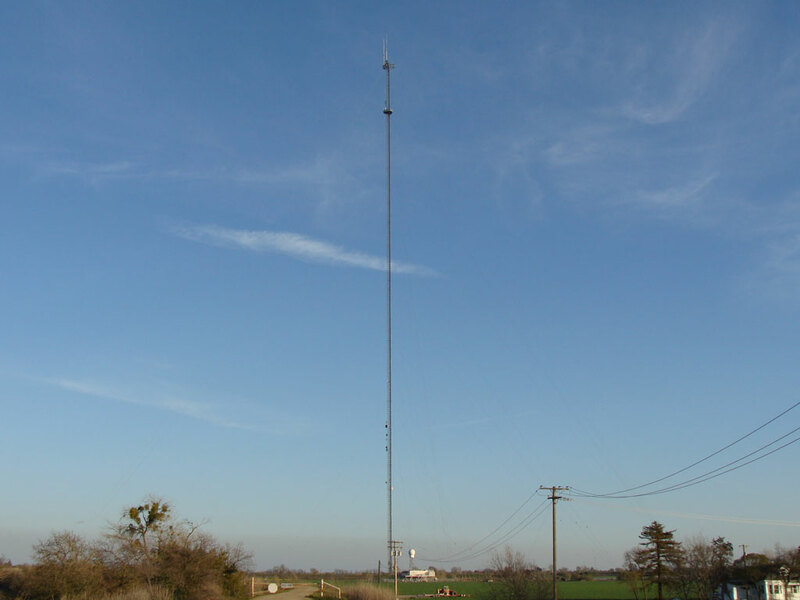 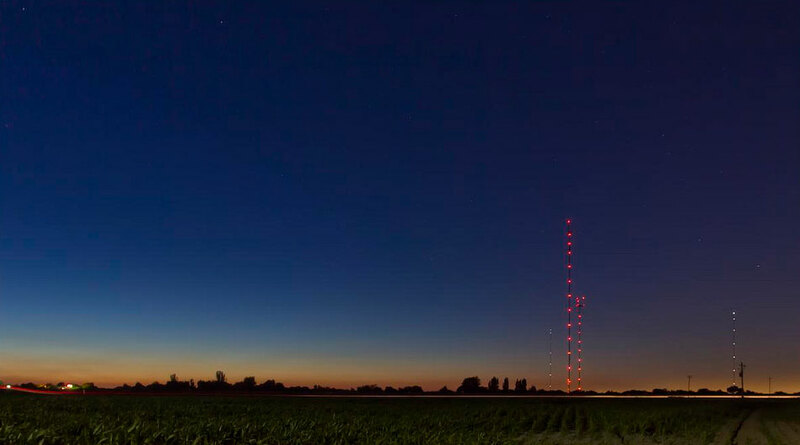 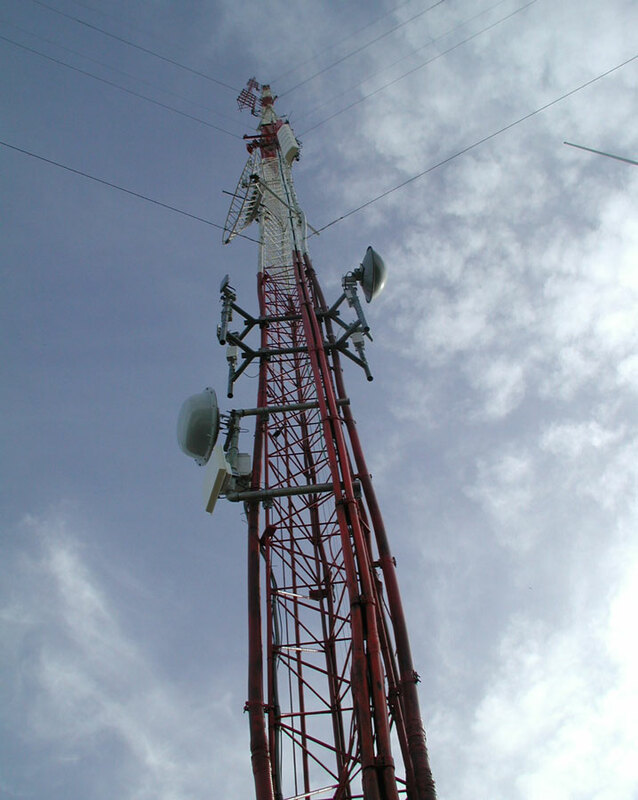 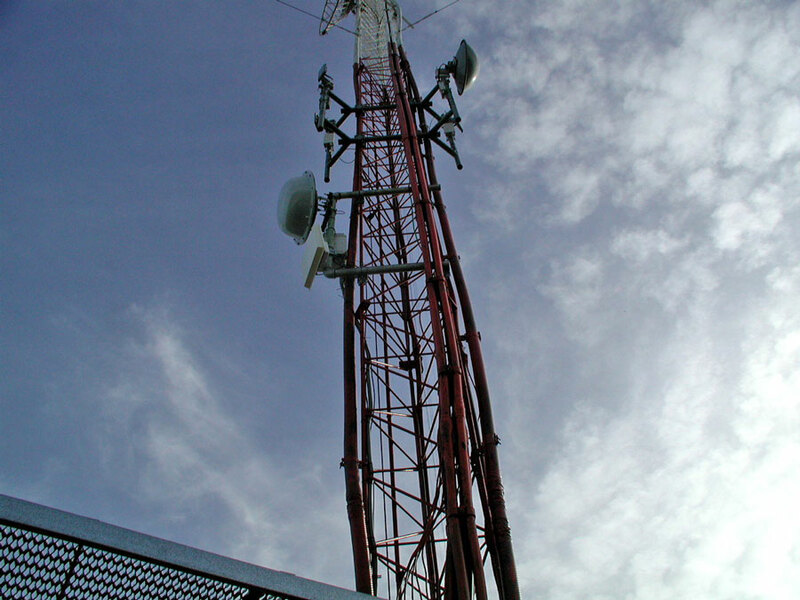 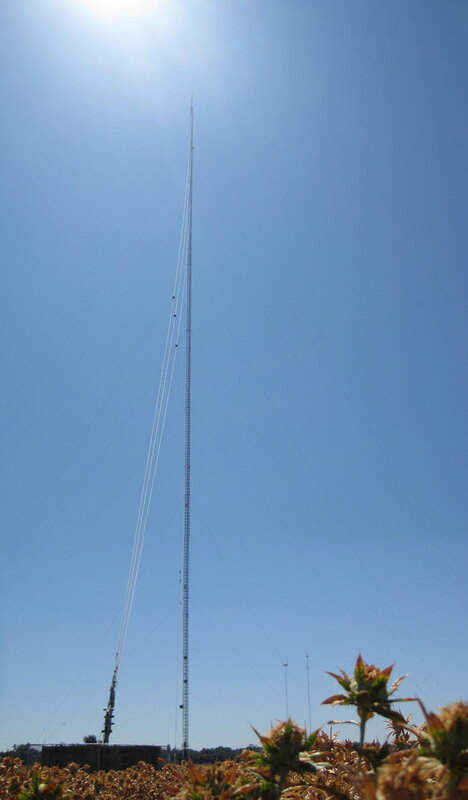 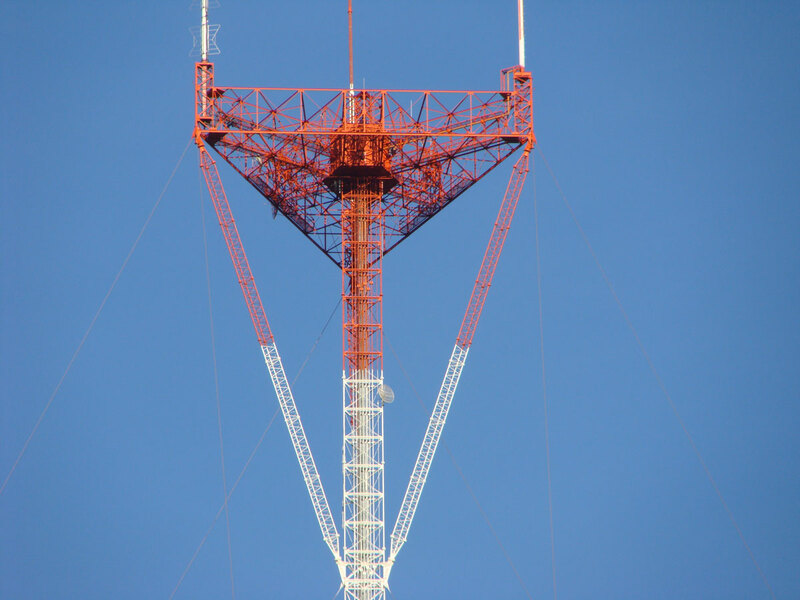 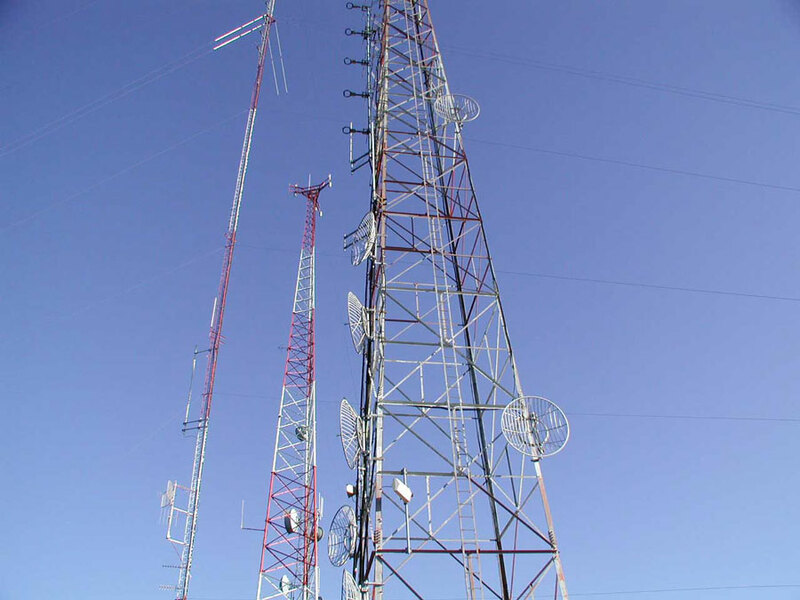 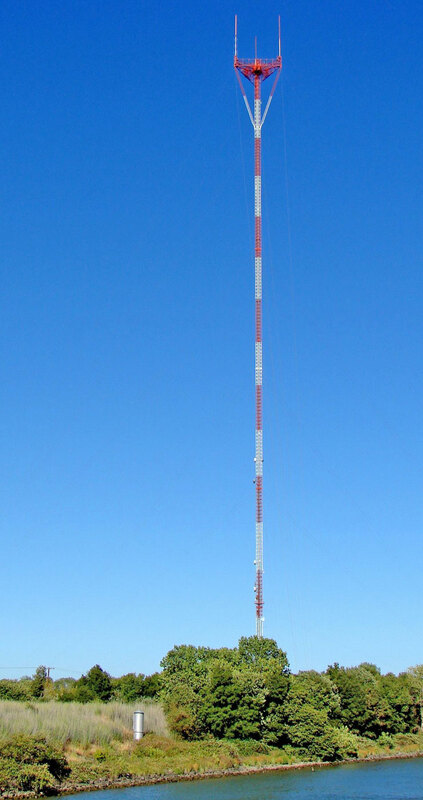 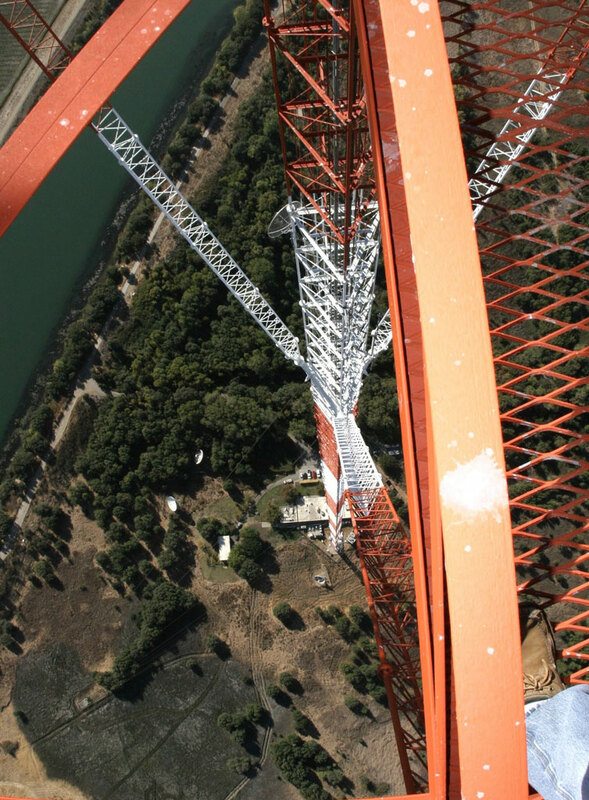 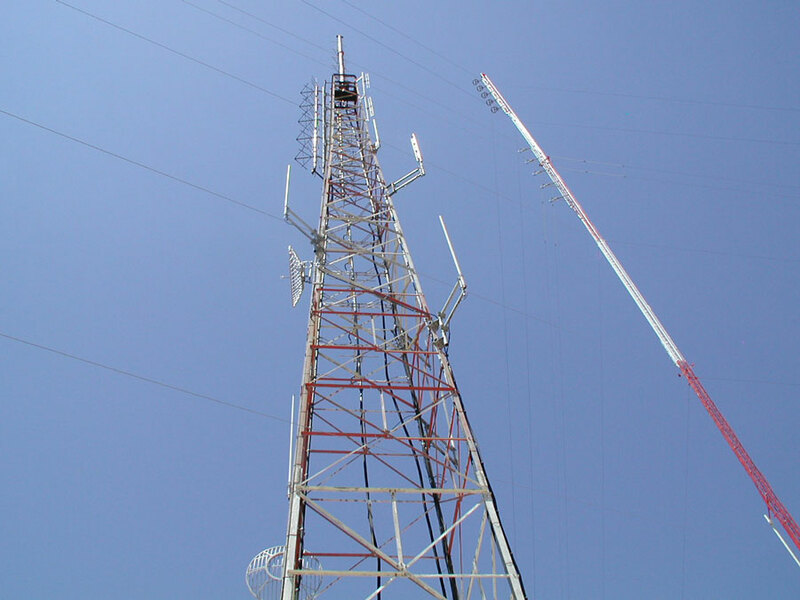 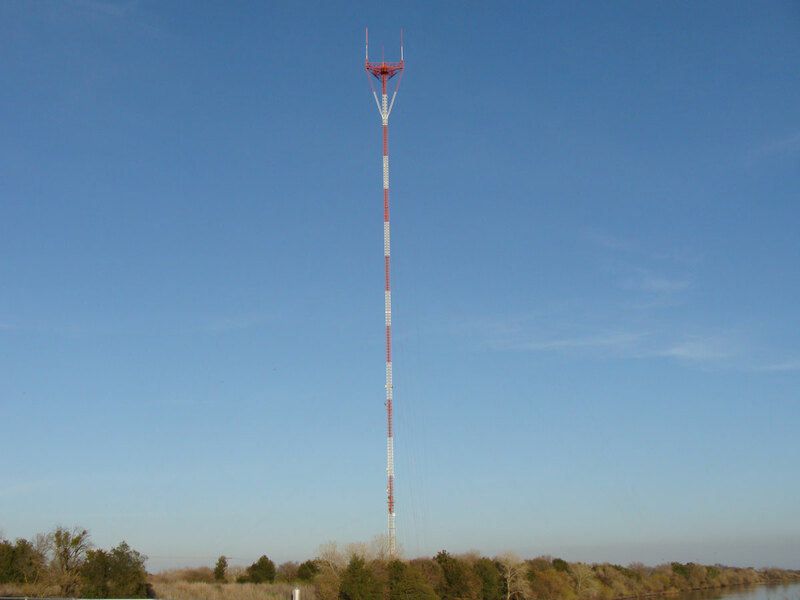 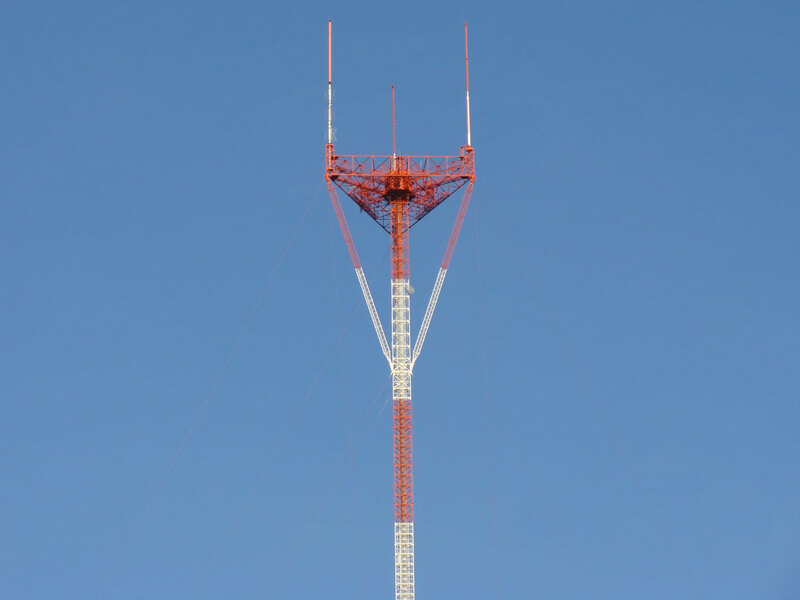 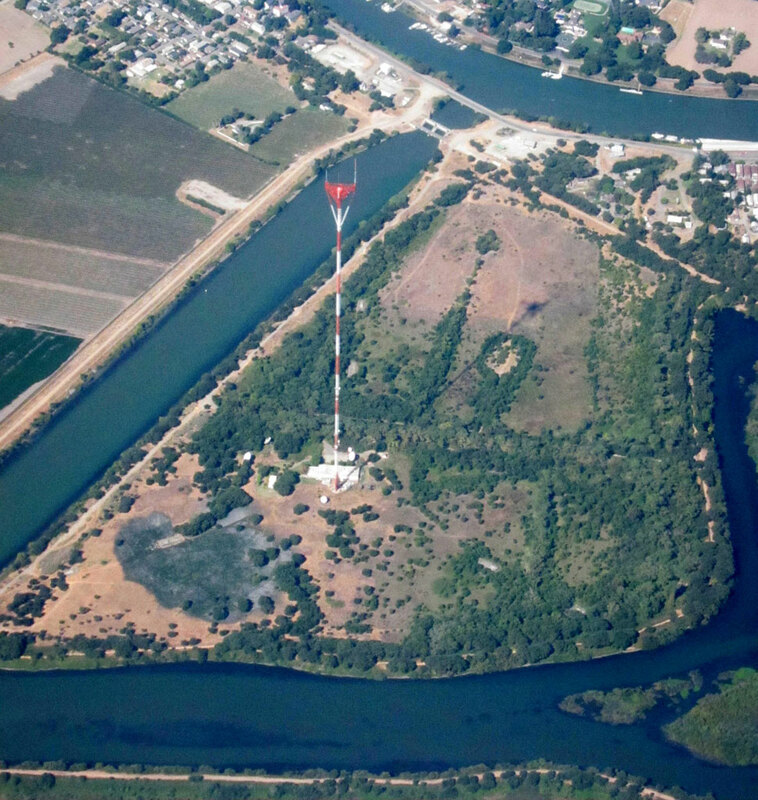 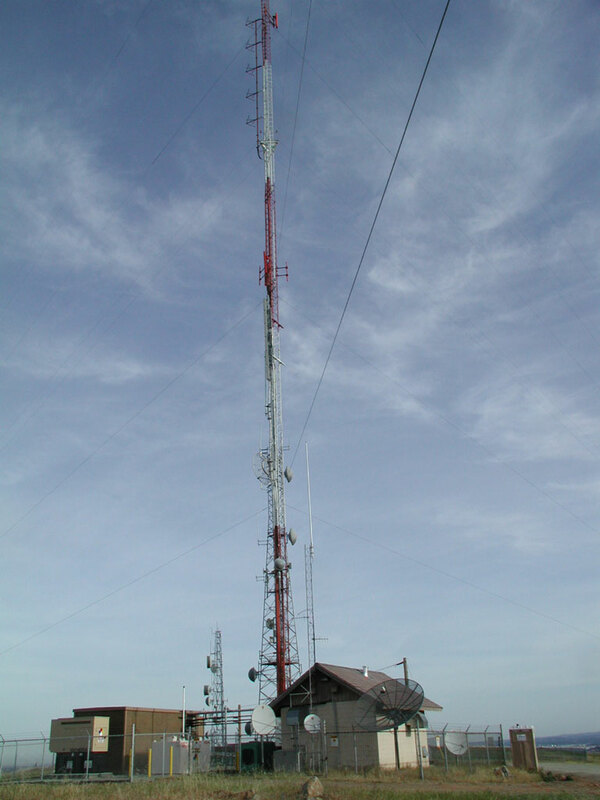 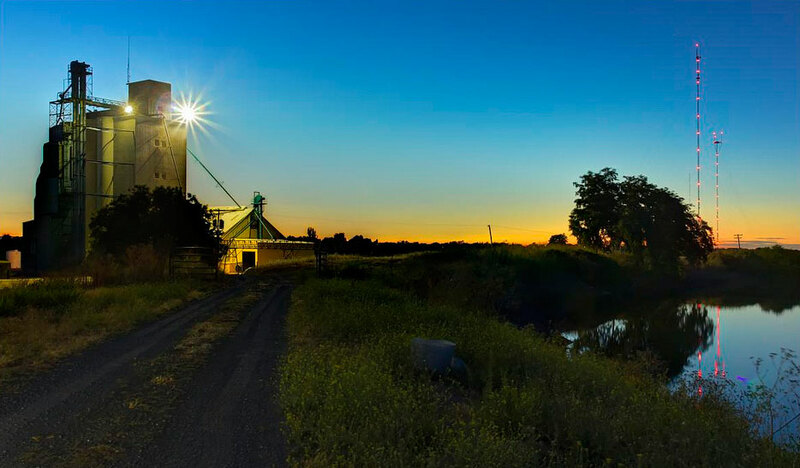 Walnut Grove, locatied 30 miles south of Sacramento, is the site of several tall radio and television transmission towers, the tallest in the State of California and some of the tallest constructions in the world. 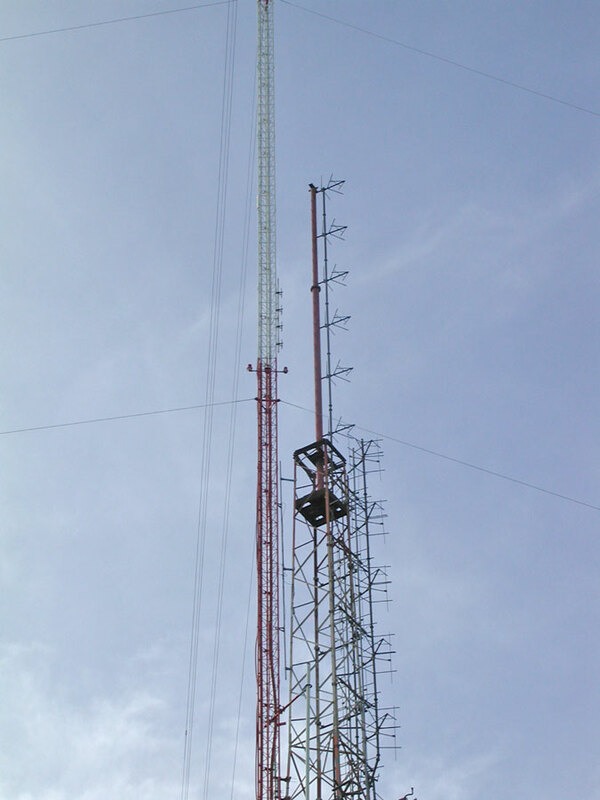 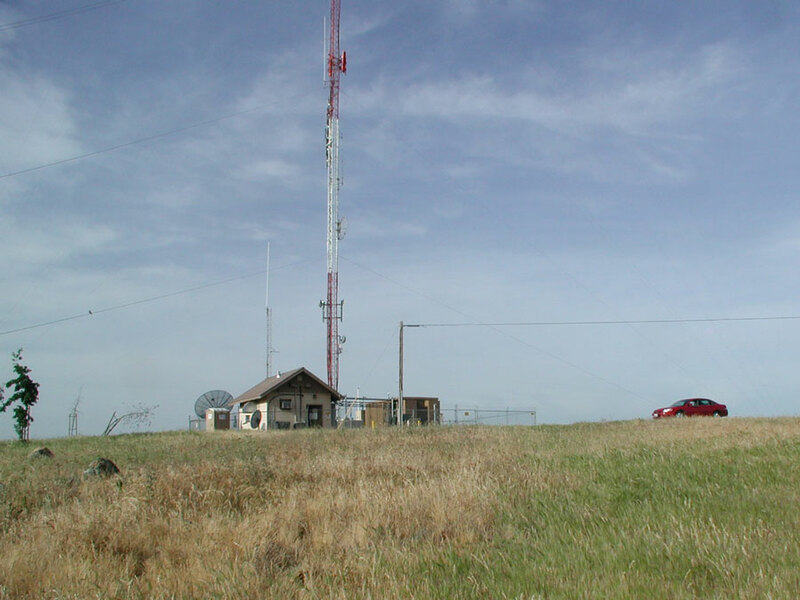 The first major tower here was the KXTV/KOVR/KCRA tower (Owned by Transtower Inc.) built in 1962, which dominated the skyline for over twenty years. 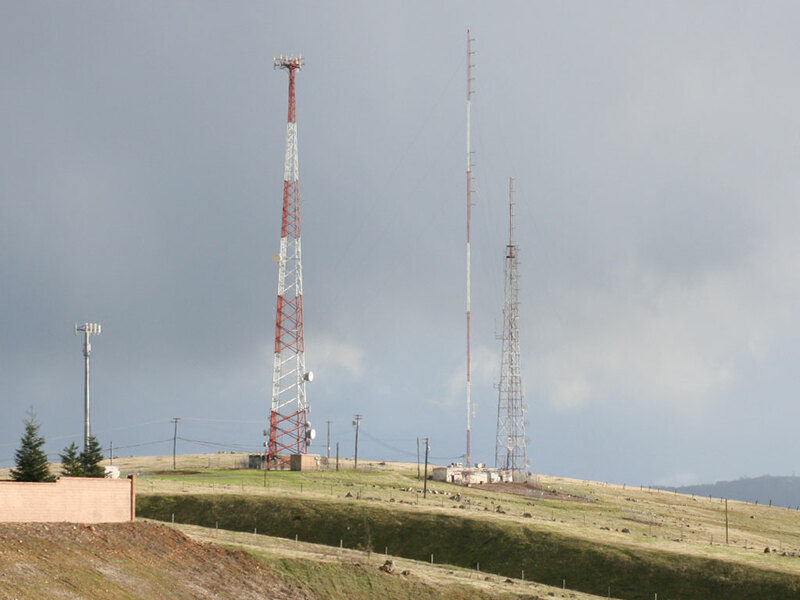 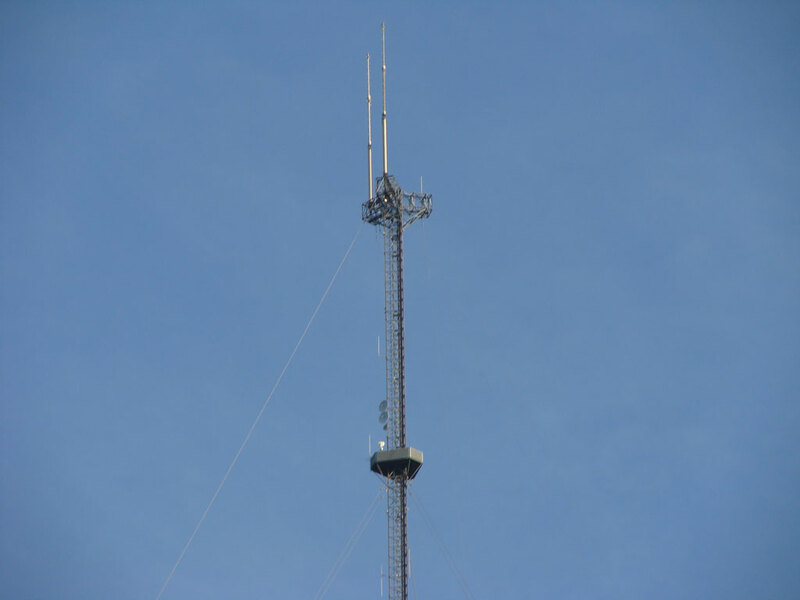 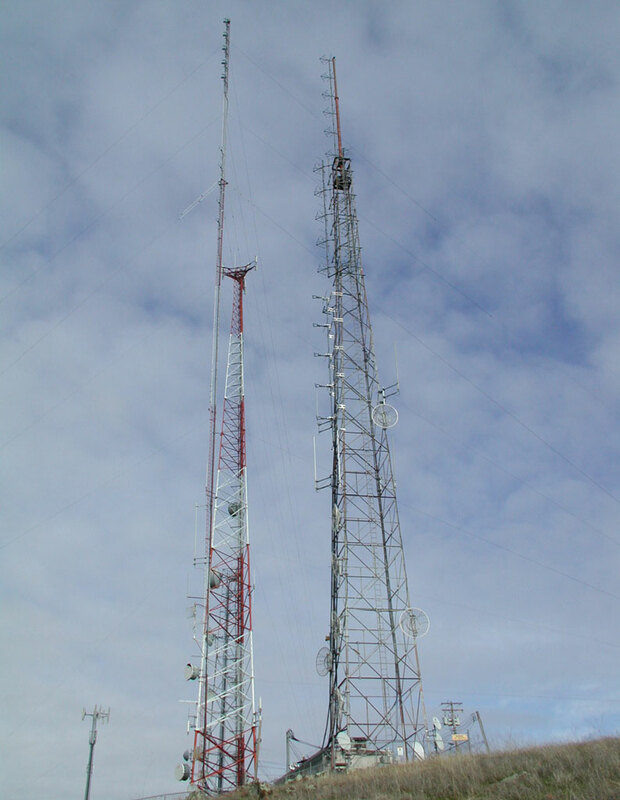 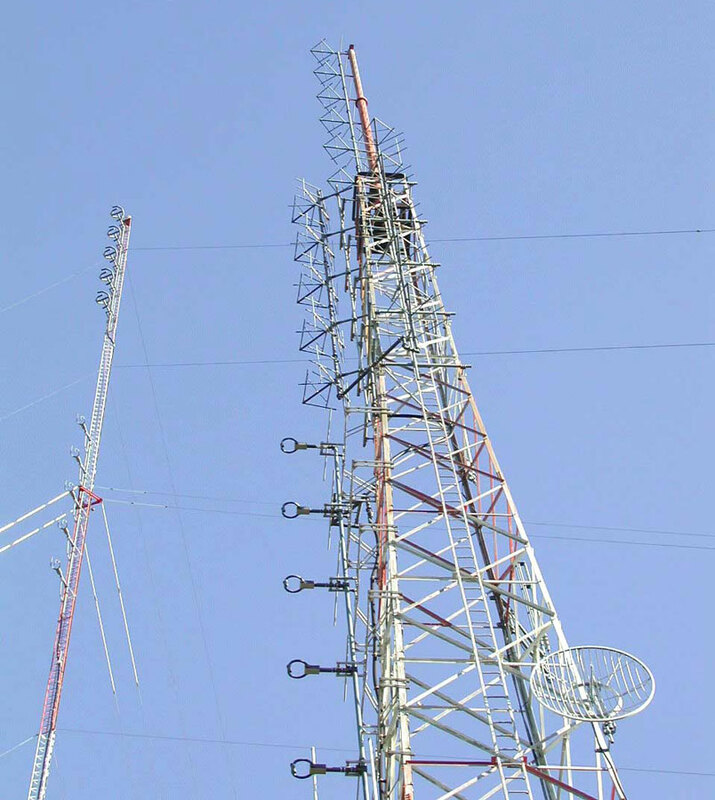 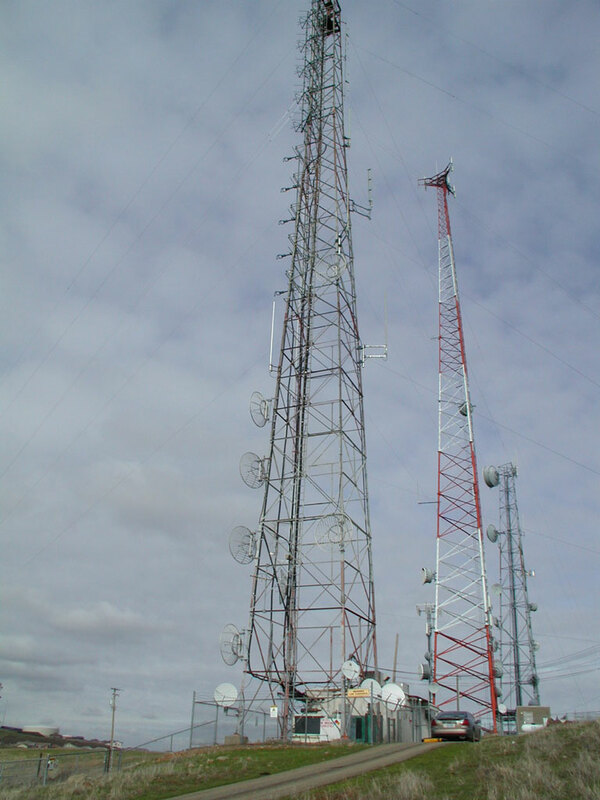 After 1985 the old tower was joined by three taller structures (guyed masts) of similar height around 2000 ft. 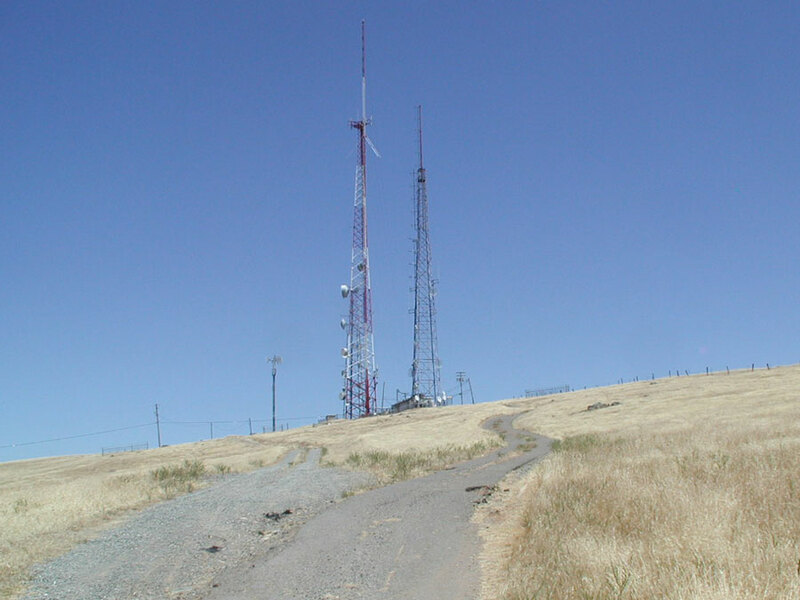 The towers sited at the natural corner of the California Central Valley have line of sight coverage of flat valley floor for over 60 miles (100 km) to the north and to the south-southeast, and quite good coverage into the Sierra foothills and mountains across the valley to the northeast and east.